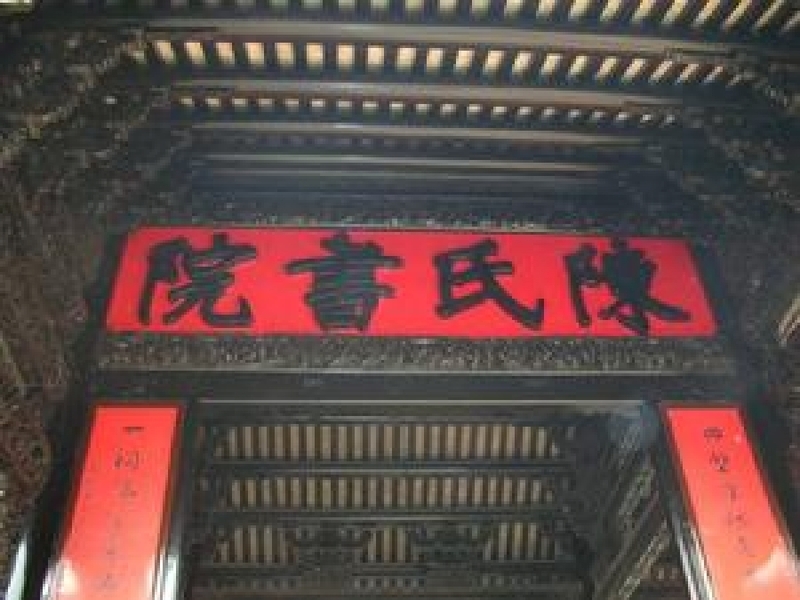 Ancestral Temple of the Chen Family is also called Chen Clan Academy or Chen's Lineage Hall which was a place both for offering up sacrifices to ancestors and for study. Now it serves as Guangdong Museum of Folk Arts and Crafts to show the most characteristic Guangdong architecture. The Chen Clan Ancestral Temple in Guangzhou City, the Ancestors' Temple in Foshan City, the former Residence of Sun Yat-sen in Zhongshan City and the Opium War Memorial Hall in Dongguan City are regarded as the four major cultural tourist sites in Guangdong Province. In the late of the Qing Dynasty (1644-1911), a man named Chen got the third place in the highest imperial examination and had conferred upon him a distinguished office title which made the Family Chen well-known. Later someone suggested that all the Chen's families raise money to build a temple to sacrifice to the ancestors and encourage their offspring likewise to study hard. Therefore, the temple was finished in 1894 with the money donated by Chen's families in 72 counties of Guangdong Province as well as some overseas members of Family Chen. The temple is a compound complex consisting of nine halls, six courtyards and nineteen buildings connected by corridors, all separated by walls from the outside world. A pair of stone drums in front of the entrance door, measuring 2.55 meters (about 8.36 feet) in height and two colored drawing pictures of door-god of four meters (about 13 feet) height are said to be the best in Guangdong. The compound was constructed in the traditional Chinese symmetrical style and the main hall, the Juxian Hall is in the center of the temple. Juxian Hall was once a place for clansmen to assemble before the establishment of the temple and now it is used as an ancestral hall. In front of the hall is a stone gazebo surrounded by stone balustrades. In the hall there is an exquisitely carved folding screen which is an excellent example of woodcarving. The most impressive attractions in the temple are various superb carvings extolling nature. They are in the forms of wood, brick, pottery, stone, lime and things like that, of which wood carving especially fully demonstrates the great achievements of the art of carving in Guangdong Province. Stories of historical celebrities and scenes are also vividly represented in the temple.